What to Do if Your Dog Suffers an Insect Bite? 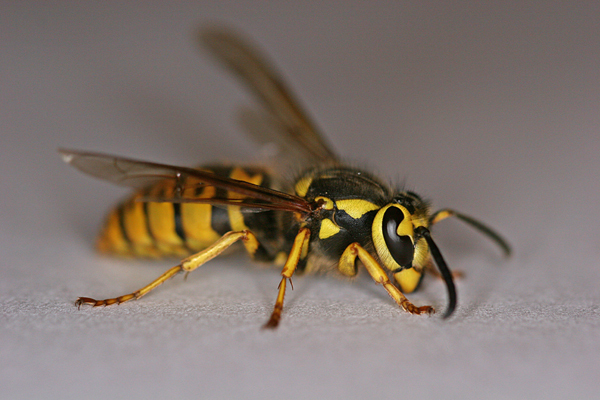 If you have a bee, wasp or yellow jacket nest in your home or yard, this isn’t just a problem for you, as they may also sting your dog. The hairless areas on their face and feet are most susceptible and when stung your pet will develop swelling and redness around the site, though may develop shock if stung multiple times. Look for the stinger, which appears as a small dark sac, and remove it using a scraping action with a credit card. Just as in humans, you should never squeeze a sting or try to remove it with tweezers, as this only adds more venom to the wound. Use baking soda and water to make a paste to apply to the wound. Apply ice to reduce pain and swelling. If your dog itches the area, use calamine lotion. Speak to your vet for advice if you have any concerns, as they may prescribe antihistamine treatment. You should always seek immediate help though if your dog becomes agitated, has difficulty breathing, collapses or has a seizure, as this suggests a severe allergic reaction. These biting insects often build their nests in attics, garages and outbuildings, though you may find them in trees or even at ground level in your yard. If you find a nest, don’t try to remove it yourself, but contact your local pest controller instead. If you’re near Philly then that’s the Aardvark – give us a call today.